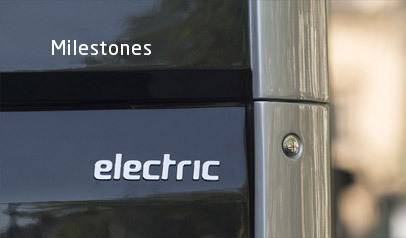 Irizar e-mobility was founded with the aim of providing comprehensive electric mobility solutions for cities, both in terms of manufacturing zero emissions buses, and in terms of manufacturing and installing the major infrastructure systems necessary for charging, traction and energy storage, all of which have been designed and manufactured using 100% Group technology and come with the Irizar guarantee and service quality. The operator therefore has the added benefit of having a single point of contact at every stage of the project, including detailed consultation, comprehensive vehicle care and an after-sales, maintenance and repair service which are tailored to the customer's needs. It also offers constant updates to the in-built systems to respond effectively to the challenge of maximising the service life of each vehicle, thereby optimising the value of its assets. And a customizable fleet management system which, in addition to comprehensive monitoring of costs and efficiency, offers the possibility of optimizing the performance and profitability of each fleet and safety while driving can be provided. 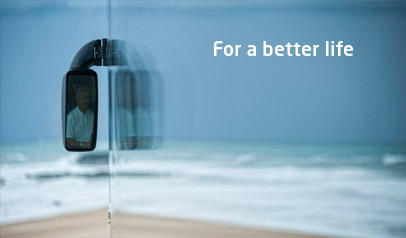 Irizar e-mobility's vehicle range currently includes three models: Irizar ie bus, Irizar ie tram and Irizar ie truck. Irizar e-mobility has a new production plant that was opened in May 2018. 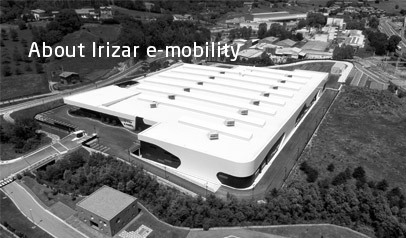 The Irizar e-mobility plant is located in Aduna (Guipúzcoa) and has a built area of 18.000 m2, on a 4-hectare plot. These facilities are designed to manufacture not only electric buses, but also other types of industrial vehicles that complement the electromobility needs of cities, as well as their main components and systems. They have an initial productive capacity of 1000 vehicles per year . The total energy consumed by this plant is produced by a photovoltaic energy Centre located in Álava, which makes it the first fully sustainable European energy plant. It includes a warehouse and domestic hot water heating system that works by using the surplus steam from a company located in the adjoining plot. The construction used innovative elements and cutting-edge solutions with a special emphasis on those concepts that define eco-sustainability. The slab levelling is of high specification without retraction joints, the roof is of induction-fixed sheets, the interior and exterior lighting of the building is LED, the control of both the facilities and the equipment of the production process (lighting, air conditioning, heating, pneumatics, paint booths, etc.) is centralized, and the rooms are managed using touch controls. The plant has its own test tracks and test benches in order to guarantee the reliability and efficiency of the equipment and to check the technology that is incorporated into the vehicles, as well as their components and systems. These features have earned the plant a class A energy efficiency certificate, the highest currently available in Europe. Progressive reduction in CO2 emissions and pollution. and green design principles. Energy efficiency certificate. Completely sustainable production processes where personal health and safety are the top priority.